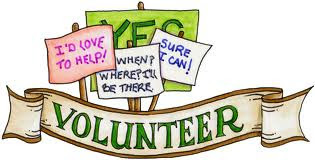 There are many volunteer opportunities for you to help at Magothy River Middle - there is something for everyone. We need you! Please review the list below with a brief description of volunteer opportunities available through the PTSO. Please contact our Volunteer Coordinator, Christina Gehring or our President, Ashlee Mitchell, and/or Magothy River Middle School's Volunteer Coordinator, Amanda McDowell, Media Specialist, for more information. If you'd like to help with our Marlin Night school carnival with food, games, silent auctions, raffles, inflatables, and much more, please email Vicky Kiser. It's a lot of fun, and is the biggest fundraiser of the school year. Remember to log your volunteer hours using the online Virtual Volunteer site. After School Clubs – assist with clubs such as 24, Drama, SGA (Student Government Association), etc. Media Center – assist with book shelving, book covering, etc.